PINK SALT. A pink curing salt containing nitrites/nitrates used when curing meats. 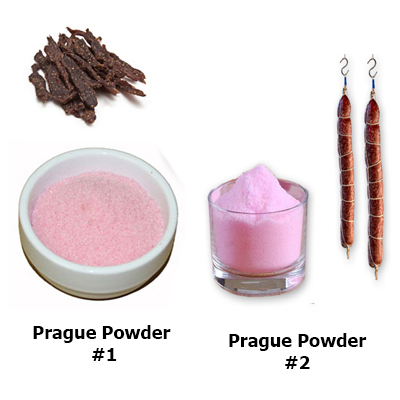 PLEASE REFER TO PRAGUE POWDER #1 for a hot smoking process. PLEASE REFER TO PRAUGE POWDER #2 for a dry curing process. DO NOT ATTEMPT TO ORDER FROM THIS WINDOW!